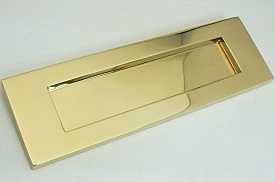 Stainless Brass (also known as PVD or Physical Vapour Deposition) products have been developed to look like brass but to be both scratch and weather resistant. This removes the need for regular polishing and is particularly suitable for areas subject to above average weathering such as coastal regions. Many of these products come with an extended guarantee having been subjected to extensive testing. The science bit... physical vapour deposition bonds an invisible layer of durable metals to the surface of the product. This microscopic layer acts as a barrier to moisture and oxygen so protects the metal from tarnishing even in areas of high pollution, extreme weather or salty coastal air. All that is required is a weekly wipe with a damp cloth. We believe that, in the long run, these products offer excellent value for money. If you would like to discuss the purchase of any of them, please do not hesitate to contact our sales team on 0131 623 5577. 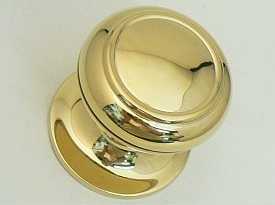 Description: Excellent value centre knob with 25 year guarantee on finish, made by Carlisle Brass. Fixings: Supplied with M8 bolt to fix from rear. Sizes: 74mm knob, 80mm rose, 75mm projection. 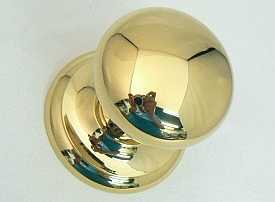 Description: Elegant mushroom shaped centre knob with 10 year guarantee on finish. Made in the EU by Heritage Brass. Sizes: 70mm knob, 80mm rose, 75mm projection. Description: Simple round keyhole cover with 10 year guarantee on finish. Made in the UK by Samuel Heath. 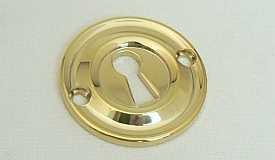 Description: Ribbed detail round keyhole cover with 25 year guarantee on finish, made by Carlisle Brass. 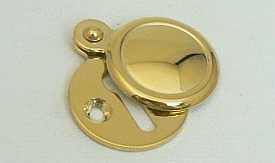 Description: This classic design cylinder cover suits a standard Yale nightlatch cylinder. 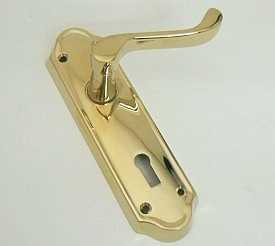 Made by Heritage Brass with 10 year guarantee on finish. Sizes: 83 x 45mm overall. Description: Simple design letter plates with 10 year (304 x 102mm size) or 25 year (257 x 79mm and 282 x 80mm sizes) guarantee on finish. Fixings: Supplied with M6 fixing bolts and matching cap nuts. 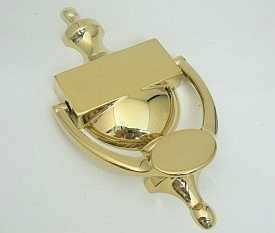 Description: Classic urn pattern door knocker made by Carlisle Brass with 25 year guarantee on finish. Fixings: Supplied with M6 threaded bolts and cap nuts to be fixed from rear. Sizes: 198 x 98mm overall, 126mm bolt centres. 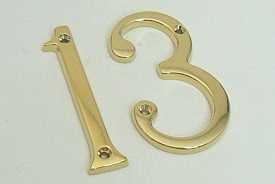 Description: Victorian pattern screw on numerals. Made by Carlisle Brass with 25 year guarantee on finish. Description: Attractive ogee type pattern lever handles with keyhole. Made by Carlisle Brass with 25 year guarantee on finish. 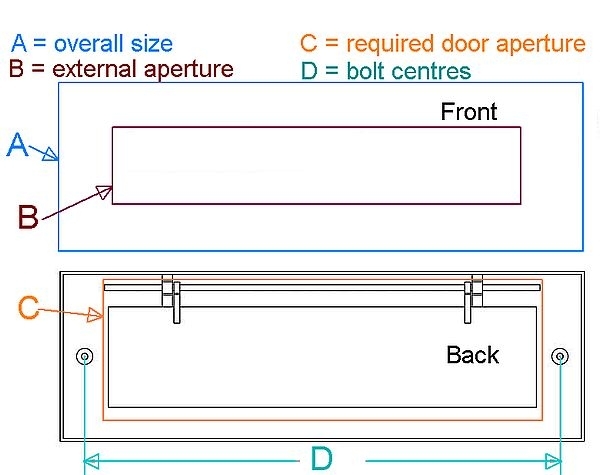 Sizes: 168 x 48 x 13mm backplate, 98mm handle, 58mm projection.